Created and guided by experienced spirit women these retreats are aimed to inspire and ultimately lead each woman onto a path of real transformation and liberation within a luxurious setting. These retreats are to take us on a journey in search of our wild woman and how connecting with her we are able to discover our true power and potential to thoroughly enjoy our lives and share this joy with all those who surround us. On our search for the wild woman we will explore our intimate sexuality as women. How our sexual energy is an integral part of our spirit and powerful aspect of our identity and how we experience life. We will discover how to harness and empower our sexuality through dance, yoga, pilates, breath, and visualization work. Wild women have wild dreams and we must acknowledge these dreams in order to thrive and be the best version of ourselves. Through journaling, affirmation sharing and workshop play time we will discover how to manifest our wildest dreams, for real. Wild women need deep self love and care. We provide the most nourishing healthy real food, essential relaxation sessions and natural beauty tips so you will learn how to set aside a Goddess time for yourself each day. Deposit of €500 due to reserve your booking. Retreat remainder costs must be paid in full by 3 weeks prior to retreat date. ***Customers will be emailed to secure final payment in time. Gypsy is a passionate educator and creative talent. She began as a professional dancer, then her studies evolved into healing works of Yoga, Meditation, Breath technique, Pilates, Somatic therapy, Tantra, and Psych-K. The teachings of Gypsy Bast are playful, creative, and intelligent. They help us to discover the gifts of our true source – the power within ourselves. Using the universal elements of nature, technique, and love. Her students receive vital, life-force energies through her teachings, and they can experience powerfully beautiful to incredibly challenging lessons that activate change in their lives. Gypsy feels she was born to this work, she thrives in it, and teaching brings her joy, fortitude and healthy living. 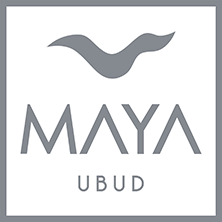 She has worked internationally for the last 12 in the Maldives, the Yoga Barn in Ubud Bali, the Nike European Headquarters, and Urban Yoga Sydney, where she laid the foundation for a multi-sensory yoga experience with the owners of Anytime Fitness. Gypsy trained Cirque du Soleil shows, CEO’s, royalty, and Hollywood celebrities. Over her career, she has taught thousands of people how to increase their vitality through wellness practices, and overcome adversities. Gypsy is continuing to study and collect experiences along with life lessons, and her passions include writing poetry, music and singing. Gypsy is a joyful, free spirit and dedicated lover of life and her path as a teacher. Lucy Beckwith has been dancing since she could walk, being inside the moving body is where her joy and peace resides and this is truly evident in her classes. A graduate of London Contemporary Dance School, Lucy discovered yoga and meditation as way to deal with the demands of becoming a professional dancer. After a scholarship study at Cal Arts, at 23 years old Lucy went to South India for 6 months to study traditional Sivananda Hatha Yoga and live alongside a private Indian teacher in Fort Cochin, Kerala. 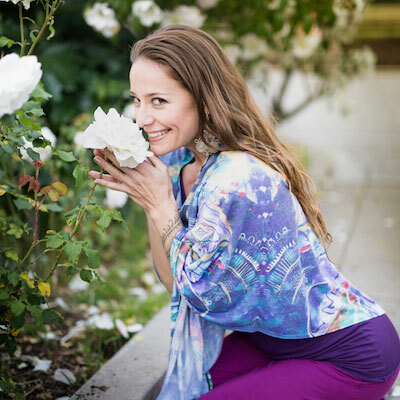 She also trained for a year with Jasmine Tarkeshi at Laughing Lotus San Francisco, Vinyasa flow. For over 15 years Lucy has been deepening her daily practice in nourishing her dreams and manifesting personal transformation through yoga, dance, affirmations, meditation and visualisation. Her years training, choreographing and performing around the world guided her to create her own unique yoga project and studio combining the power of live cello and movement asana; YO-MU, based in Barcelona. Lucy currently teaches at Soho House and Glow Studio, Barcelona. She also teaches at Herrick house retreats, France Reflexive Energy retreats, Catalonia, and also runs her own yoga workshops in her private home and other studios in the city. A mother of two boys, Lucy knows the potential of a personal practice, rooted in tradition but at the same time completely open to create & discover what works for you personally, your inner magic. Her work is to inspire each person to feel free to create and believe in their own practice and wonder, on and off the mat.